Blog 03 - What do I use to record Instagram videos? I'm just going to apologies in advance for the mass of text but here it is! I get asked all the time “what do you use to record your videos?”. And the answer is usually simple. I try to use as little as possible. Setting up a big rig with multiple cameras etc just isn’t practical for me and it takes away from the “flow” that I try to capture with my videos. That being said, I’ve made sure that I have all the little gadgets I need to capture those moments with minimal effort. All products listed will be linked with an Amazon link to check out, simply click on the name of it. And if you do use those links, I get a small % out of it so it helps me out 🙂. First thing’s first; the camera. When I'm not using my iPhone, I use an Olympus pen Epl 7 to record most of my videos and photos. The good thing about this camera is how easy it is to use compared to some DSLR cameras. The size is also a major factor as it fits nicely in a small compartment of any gig bag, so it makes it easy for travelling/recording sessions and gigs. Aside from the size and ease of use, the picture quality is fantastic with the stock lens. In addition to this, the sound quality is decent too. I hardly ever spend time recording my amp on Logic then syncing it up with the video because it does the job. So if you’re looking for a fairly priced camera that will do all the work for you, then this is great. However, I’ve added a few different lenses to my collection to up the quality significantly. The Olympus 45mm and 25mm digital lenses make a huge difference to the quality of video I’m able to capture. My go-to lens is now the 25mm because it’s the most practical size I would need for any situation. Tip: natural lighting is key. If you have a half decent camera (even on your phone) then having nice natural lighting will help. Simply make sure you’re facing into the light to capture all the details in your video. But sometimes we don’t have natural lighting available to us, so I use this simple camera light. It’s great because you can select the amount of light you want and it comes with a few different filters for different light diffusion effects. Just buy two batteries so that one is always charged and you’ll be good to go. I use these for my Skype lessons all the time. Tripods- I use two tripods; one for my camera and one for my light. This one is fantastic because you can put it anywhere really quickly. So it’s especially useful if you want to experiment with different angles with your lighting or videos. Tip: Try and make sure that your videos are formatted in the most optimal way for each platform. YouTube is going to use landscape videos but Instagram prefers portrait videos. You can use landscape videos on Instagram but they never seem to perform as well as portrait ones. Plus you can have your whole body in the shot with a portrait one which is always important to consider every now and then; it lets your audience know that you’re a real human being and not just 2 hands playing a guitar (landscape videos 😛). This little phone holder helps with shooting in portrait! 1- Record audio from my guitar, to my amp with a Shure sm57. 2- Record into a Zoom R16 Multitrack Recorder . 3- Into Logic Pro X on my Macbook Pro. 4- Any extra instruments are added with my Akai LPK25 midi keyboard. 5- Or I use my new Jamstik + which is an awesome little midi guitar thing. And BAM! You have much better audio on your videos. Just open up iMovie, add some Ken Burns for those stupid zooms and there you go; Bob’s your uncle. Blog 02 - Four Great Music Books You Should Check Out! You asked for a few of my favourite music books so here they are in no particular order! Theory: Chords and Scales- Basic theory, major scales, II-V-Is as well as Major, Melodic Minor, Diminished and Whole-Tone harmony as their uses and applications. 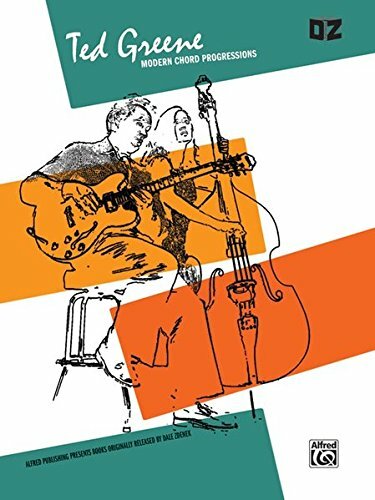 Improvisation: Playin' The Changes - a more practical description of how to utilise the material explored in chapter 1 as well as tips on practice, a few jazz standards and other scale choices. Reharmonization- The final chapter explores basic and advanced reharmonization techniques as well as providing examples of 3 tunes that have been reharmonized. 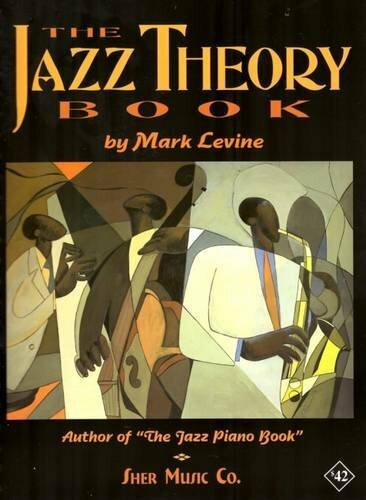 A solid book for any budding jazz musician or music teacher. This book is probably my favourite book ever. It literally changed my approach to music and I'm so grateful to have been given the book from a teacher at the right time in life. I recommend it to all my students and they're also grateful for it! It's not going to give you any advice about music theory or technique but it will give you really incredible insight and information on how to become the best version of yourself as a musician and "liberate the master musician within". The book is really a mindfulness book for musicians but anyone could read it and still reap the benefits. I'm not sure what to say about it other than just buy it! Another more spiritual book but very different to effortless mastery. 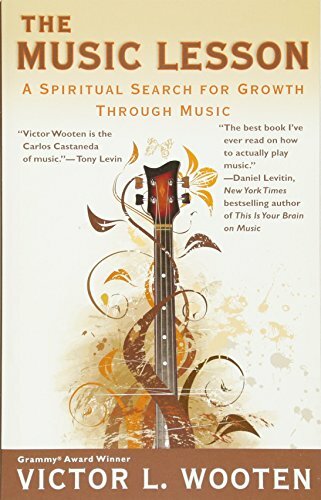 This book details a "music lesson" that Victor Wooten had. It's written as though Wooten was sitting next to you telling you a story and can be pretty funny at times because of this. However, it does explore some serious concepts within music and provides insight in the areas of: groove, notes, articulation, technique, emotion/feel, dynamics, rhythm/tempo, tone, phrasing, space and listening. 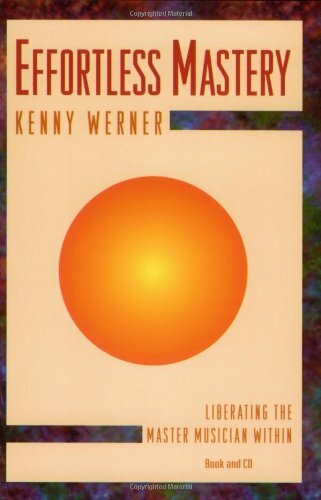 Again, it's a bit of a music philosophy book, but with much more practical advice and examples of how he personally worked on each of these topics. Each chapter even has a measure of music written for it to demonstrate the point of the chapter which is a cool little touch. A really great and fun read for musicians of any level! The last book is going to be a more practical one. Ted Greene's "Chord Chemistry" contains a plethora of chord charts designed to inspire creativity in guitarists. Literally just open the book anywhere and find a new voicing to work on for the day. As well as thousands of chord charts, Greene explains his approach in using these chords, playing technique, ear training and the theory behind pretty much any chord you'll ever have to play! Even if you're not looking to specifically build on your chordal knowledge, this is a great book to have around. I hope you enjoyed this blog post! Remember that you can purchase any of these books by clicking the "Buy on Amazon" photo.